Aromatic herbs and spices like sweet cinnamon, ginger, nutmeg, and vanilla define our culinary palate this time of year, and that goes for cocktails too. Thankfully, you don’t need to stock the cabinet with a fortune’s worth of pretty liquor bottles to enjoy these delights. Infusing your own spirits at home and making flavored syrups are easy ways to build ingredients for your home bar. It's fun to have a few specialty drinks on hand that will wow your guests when hosting parties. After all, 'tis the season for cups filled with cheer, making memories, and merriment! Beat farm fresh eggs in a blender or food processor for one minute on low speed. Slowly spoon in sugar and continue blending for one minute to combine. With blender still running, add cardamom, brandy, rum, milk, and cream. Blend the ingredients together for one minute. Chill thoroughly in the fridge to allow the flavors to meld. 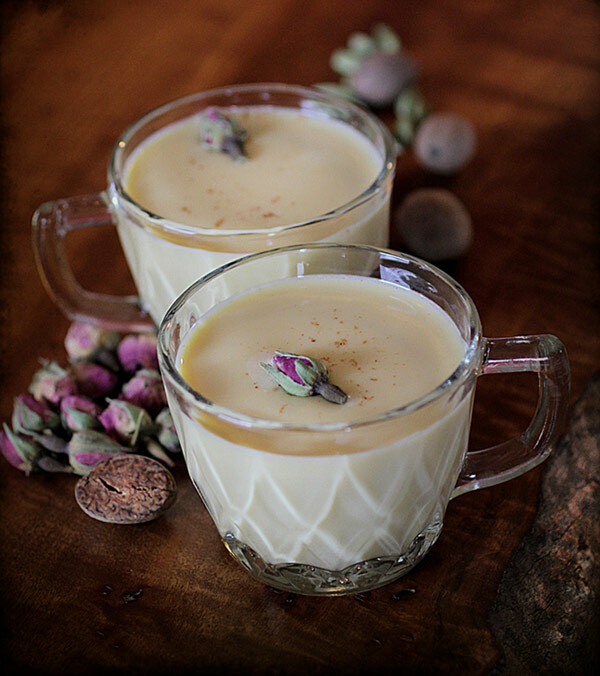 Stir in the rosewater and serve in two chilled glasses, grating nutmeg on top before serving. 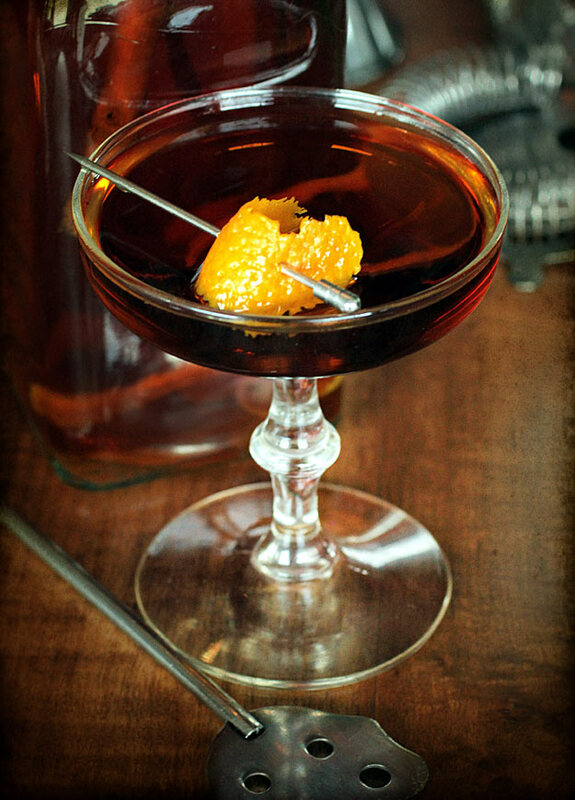 Fill a shaker with ice and pour in the infused bourbon, sweet vermouth, and bitters. Shake vigorously until "frost" forms on the outside of your shaker. Strain the cocktail into a chilled glass. Garnish with an orange peel. * To make the Orange Spice Bourbon, combine 8 oz. of bourbon with the outer peel of one organic orange, one organic cinnamon stick, one chopped organic vanilla bean, and two organic cloves in a glass jar. Allow to infuse for 2 weeks and then strain. 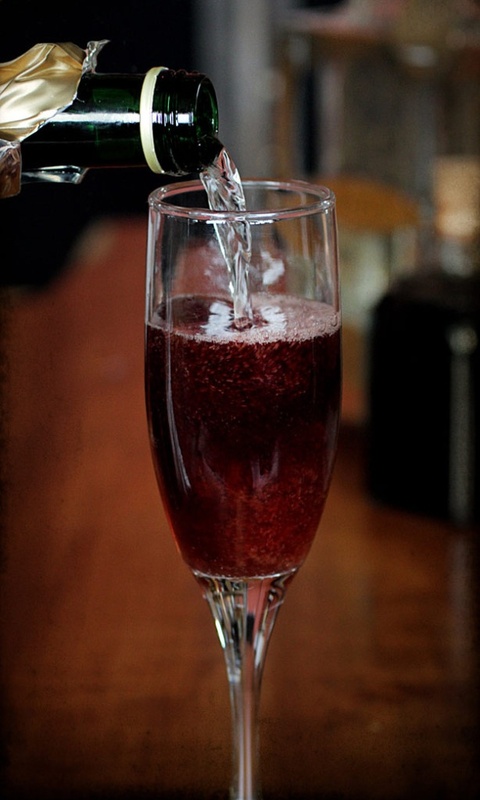 Pour gin and elderberry syrup into a flute glass. Top with chilled champagne and garnish with a lemon peel. Infuse 750 ml bottle of brandy with vanilla bean for 1-2 weeks, until desired taste. Remove vanilla bean. Gently simmer milk and half-and-half in a saucepan over medium heat until just warm. Do not boil! 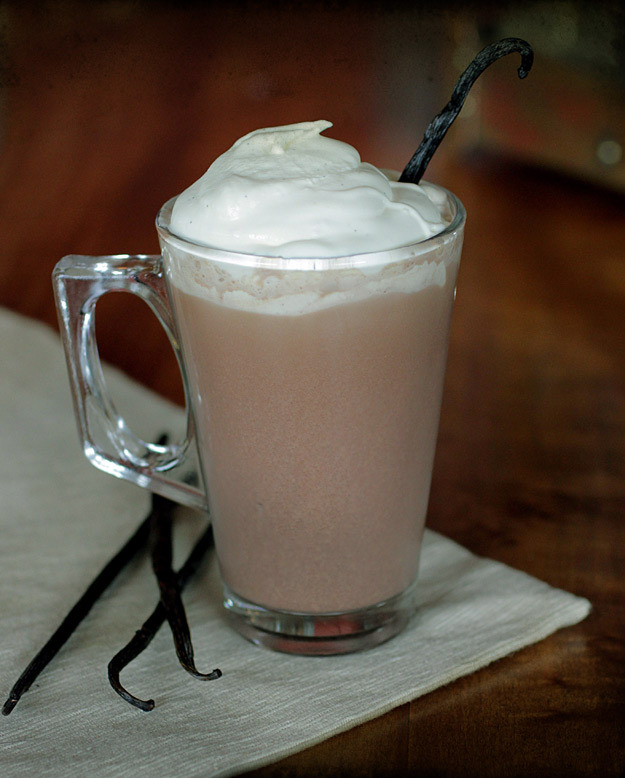 Whisk in cacao powder and simple syrup. Stir. Divide between two mugs and add 1.5 oz of infused brandy to each mug. Add all ingredients to a quart sized glass jar and tightly screw on the lid. Shake jar for several minutes until the liquid stops sloshing. Open periodically to check for a fluffy consistency. Be careful not to over shake, or you’ll have vanilla butter instead! Combine milk, half-and-half, chai, and cinnamon in a pan and bring the temperature up to a gentle simmer over medium-low heat. Stir constantly. Cover with a lid and remove from the heat. Cool to room temperature before straining out the herbs. 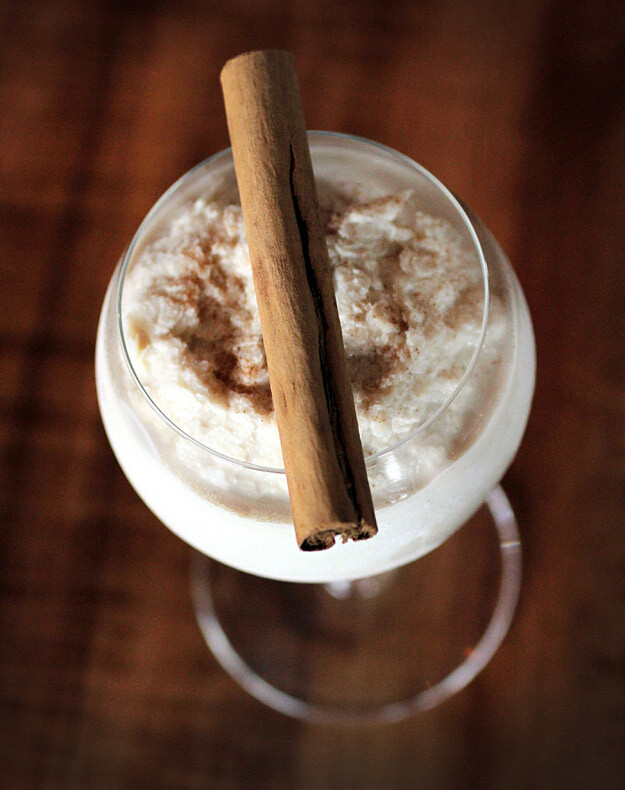 Whisk together the chai-infused milk, booze, sugar, and vanilla. Pour into a covered glass bowl and freeze for 12 to 24 hours, stirring several times to break up large ice crystals. Stir well before serving to make the appearance of snow. Spoon into chilled glasses with a sprinkling of cinnamon. Serves 6 to 8. Looking to Use Herbs Creatively in the Kitchen? Check Out Our Herbal Culinary Recipes.